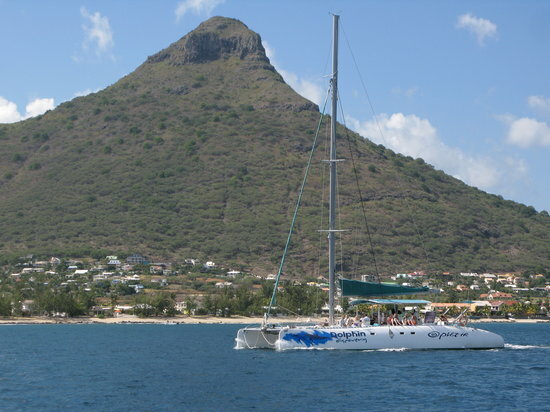 On arrival in Mauritius, you will be transferred by our local representatives to your hotel. Overnight in Mauritius . Suppose someone were to describe to you a small country that provided free education through university for all of its citizens, transportation for school children, and free health care—including heart surgery—for all. You might suspect that such a country is either phenomenally rich or on the fast track to fiscal crisis. After all, rich countries in Europe have increasingly found that they cannot pay for university education and are asking young people and their families to bear the costs. For its part, the United States has never attempted to give free college for all, and it took a bitter battle just to ensure that America's poor get access to health care—a guarantee that the Republican Party is now working hard to repeal, claiming that the country cannot afford it. But Mauritius, a tropical island nation of 1.3 million people off the east coast of Africa, is neither particularly rich nor on its way to budgetary ruin. Nonetheless, it has spent the last decades successfully building a diverse economy, a democratic political system, and a strong social safety net. Many countries, not least the United States, could learn from its experience. In a recent visit I had a chance to see some of the leaps Mauritius has taken—accomplishments that can seem bewildering in light of the debate in the United States and elsewhere. Consider home ownership: While American conservatives say that the government's attempt to extend home ownership to 70 percent of the U.S. population was responsible for the financial meltdown, 87 percent of Mauritians own their own homes—without fueling a housing bubble. Now comes the painful number: Mauritius's GDP has grown faster than 5 percent annually for almost 30 years. Surely, you think, this must be some "trick." Mauritius must be rich in diamonds, oil, or some other valuable commodity. But Mauritius has no exploitable natural resources. Indeed, so dismal were its prospects as it approached independence from Britain, which came in 1968, that the Nobel Prize-winning economist James Meade wrote in 1961: "It is going to be a great achievement if [the country] can find productive employment for its population without a serious reduction in the existing standard of living. … [T]he outlook for peaceful development is weak." During my visit, my interest was to understand better what had led to what some have called the Mauritius miracle and what others might learn from it. There are, in fact, many lessons, some of which should be borne in mind by American and European politicians as they fight their budget battles. First, the question is not whether we can afford to provide health care or education for all or ensure widespread homeownership. If Mauritius can afford these things, America and Europe—which are several orders of magnitude richer—can, too. The question, rather, is how to organize society. Mauritians have chosen a path that leads to higher levels of social cohesion, welfare, and economic growth—and to a lower level of inequality. Second, unlike many other small countries, Mauritius has decided that most military spending is a waste. The United States need not go as far. If the United States reduced by just a fraction its defense spending, much of which goes toward weapons that don't work against enemies that don't exist, it would go a long way toward creating a more humane society, including the provision of health care and education to those who cannot afford them. Third, Mauritius recognized that without natural resources, its people were its only asset. Maybe that appreciation for its human resources is also what led Mauritius to realize that, particularly given the country's potential religious, ethnic, and political differences—which some tried to exploit in order to induce it to remain a British colony—education for all was crucial to social unity. So was a strong commitment to democratic institutions and cooperation between workers, government, and employers—precisely the opposite of the kind of dissension and division being engendered by conservatives in the United States today.